THE preferred – and likely still the best – source for many of us to get our fashion fix is from the major runway shows. From New York to London and Paris to Milan, the annual seasonal showings of the latest threads brings the heavy-hitters, newcomers, and everyone in between to the epicenters of fashion to flaunt their creative works. 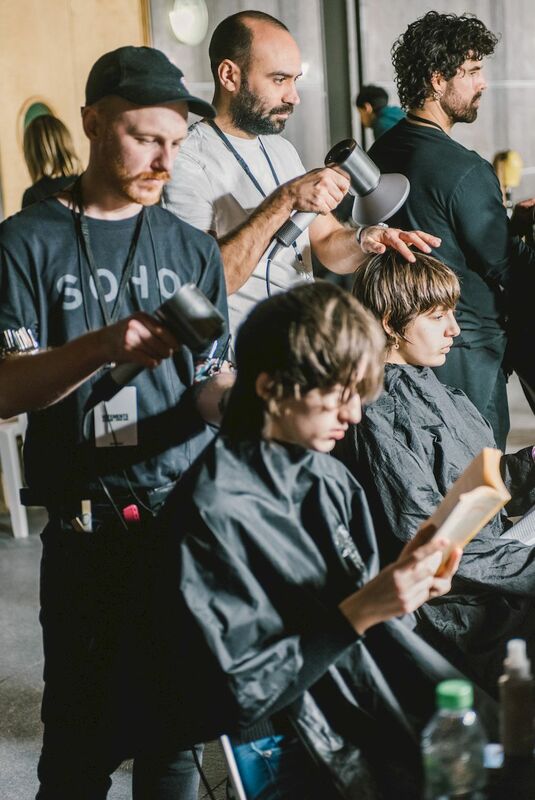 Whether you’re after the latest trends in fashion, makeup (yes, even for men) or hairstyles, it’s a gathering of the finest creative minds at work. In an interview with Gary Gill the lead session stylist for the AW19 Vetements show, he takes us behind one behind the scenes of one of the most coveted showings in Paris Fashion Week. Gill, with over 30 years of experience, has worked in fashion as a session stylist for 15 years. He talks about working with the brand, getting the hair looks for the show and on hairstyle trends. What is the theme of the show? There’s definitely a darkness to it. There’s also an undercurrent of punk. Think skater, grunge, 90s vibe. There’s also a little bit of goth thrown in there. We’ve amalgamated youth cultures. I lived all those eras and it is great to live them again, adding a fresher feeling to them. Take us through the hair look. In line with the collection, the inspiration for the hair has a huge leaning towards punk. Skater-punk, gothic-punk with a subtle grungy feel. For me, it is also about creating a very strong attitude. I love hair to have an attitude. We’ve got bright colours, bold cuts, and natural textures. What is it like working on the Vetements show? I am always excited to work on the Vetements show with Demna. The team is incredible. The designs are always fabulous. Demna is a genius in my opinion. I think his understanding of the whole look is so apparent. The casting is always unique and that truly suits my style. What did we see for hair in 2018? I don’t think there are set trends anymore. Things move and shift from season to season. Experimentation with cutting has been a large part of the hair conversation. It allows us as hair stylists to embrace individuality in each person we work with. Creating a cookie cutter look isn’t how I like to work. It is also why I love working with Vetements. They bring together such a fantastically broad range of individuals. For the show, we did blunt bobs with an element of undercutting. This removes the weight keeping the hair flat on the head but maintaining a strong line towards the front and softer at the back. Blunt fringes are also very popular. It was something that appeared frequently in the 90s and now we’re modernising it with the texture as well. In the 90s it would have been smoothed out and now we’re diffusing it. My particular style of hairdressing has recently been described as cross-gender and I really loved that. Androgyny really appeals to me and I think we’ll see much more cuts and styles talking to this throughout 2019. It’s very refreshing. I think it’s also given women a more strength to be more expressive with their haircuts. How do you keep an eye on trends? I tend not to focus on what is going on around me. When I was younger I used to pigeon hole myself into developing one type of style. Now I find it easier to work intuitively in the moment. It is a lot more reactionary when I’m looking at the person. When creating a look like the one I have done this season for Vetements, Demna and I spend a lot of time talking about the looks and his inspiration. The inspiration for the collection is always very strong and personal. It’s a vital part for me to understand. It’s all about reacting to the direction the designer has. I’ve found my work has been better since I’ve done that. Talking about tools and styling products, what are your go-tos? Diffusing – Embracing those natural textures, doing away with brushes. I’ve done a lot of diffused drying with heavy conditioners. This creates a very lived in texture which I love. It also helps create volume. When blow drying, I only use the Dyson Supersonic hair dryer professional edition. The diffuser is incredible. Beyond using a diffuser, the Aveda ‘Be Curly’ enhancer comes everywhere with me. It has a great oil base. This defines the curls but also gives the hair a nice weight. If I don’t have my ‘Ocean Spritz’ by Wella professionals, I panic! It is great for getting volume, root lift and again, those natural textures. The Oribe texture spray is also brilliant, it comes in both a wet and dry form. This has been great for consumers to create volume and texture. It also allows you to get the air into the style, building up a great shape. The different thing about the Dyson diffuser is that it has actually been designed for the hairdryer. Other machines tend to sell diffusers separately. The way the air comes out is gentle and even. This enhances the hair’s natural texture perfectly. Applying texture sprays – what’s your advice on that? The biggest mistake anyone makes is the application. It is about sectioning the hair off, making sure the hair is of equal wetness, not soaking wet but just a nice damp. Work in the product gently. It’s important to not overdo it. Distribute the products with a wide tooth comb. M The wider the teeth the less tension you apply, avoiding stretching out your natural texture. Styling tools are vital in your line of work. Should we be investing more in good quality tools? Good quality styling products and tools are essential. Damaging your hair can make styling much harder, reducing the quality of the final look. We want to get the best reaction out of the hair. Heat damage is a big issue and it is important to find a tool which helps reduce heat damage. The Dyson Supersonic is revolutionary in this sense. The hair dryer will never expose your hair to extreme heat.